Some cleaning update pics while I try track down some products. I know naught about these engines but I doubt you could stuff up the sensor by getting coolant on it. That you had oil in you coolant is interesting... does the oil cooler have a water jacket? Otherwise I'm not sure how the oil cooler could contaminate the coolant. Anyway, with any boost pressure fault be sure to check the wastegate is closing correctly. 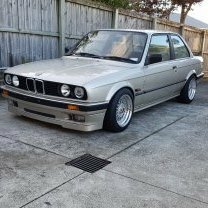 What'd you do to your BMW today? This is awesome! Well done. Bump 👍 2x2 Carbon fiber? I did check if I could find replacement used ones in better quality and wasnt happy with what sellers were offering, so we decided to make a couple of days out of it and combined skills to refurb what we have. Basically: - No foam/sponge left in originals, no softness in the horsehair molded bases. Cloth itself in pretty good condition. - Forced stripes of cotton wadding inside "piping" on the back piece - Kept the horse hair mold but added middle strips of 35-160U High Density foam and side bolsters of 28-170U Medium density foam - Hand washed rear cloth, did not remove from seat as it was riveted to the frame (and no need). - Machine washed base - Wife sewed in "Interface" material into the base stips to create new "loops" to hold the side-centre-side metal bars in place (original channels disintegrated - Initially used OEM like Bull Ring pliers to reattached metal bars etc but found that large cable ties work a lot better. Used lots of them (13per base, 5 on each side and 3 in the middle). Very happy with result, firm but soft, smells great too thanks to the washing and cloth shampoo! The crank bolt came loose, which resulted in valve hitting piston 😞 Pretty rare for that to happen, but not unheard of. The gearbox was slipping on the change from 4th to 5th. Probably could have been repaired, but given the mileage, it made sense to swap while the engine was out. I found a box with about 65k on it for a "reasonable" price. 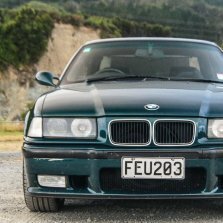 The genuine BMW gearbox oil is bloody expensive, but in my research I didn't find an alternative that I could trust, especially as I wanted to up the boost a little - its not worth the risk for the sake of saving 2 or 3 hundred bucks. Replaced the oil pan / filter and associated bolts as well. Likewise with all the engine seals, gaskets, one tIme use bolts etc - I did it all properly with OEM quality and correct torque specs throughout. Sorry if I’ve missed this in earlier threads. Why does the car have a new engine and gearbox? The master window switch on the driver's side doesn't seem to work, can lower/raise windows on each individual door but nothing seems to be working thru the master controller. Anyone got a good master controller for sale. ? Thanks. Well, 15l/km is about on par with what I currently get... But that would be a mix of around town and the odd blast out in the country. As above, I only get circa 10 on a big, more restrained trip. But maybe 15l/km is what you're suggesting the v8 ingests on such a cruise, in which case, ouch! Is the 335i the 2019 performance bargain? That's how the M3 gets away with thinner swaybars than lesser models, just based on the different mounting position.